LEARN FAST. GET FIT. STAY SAFE. At the root of our training is the core understanding that when trouble happens, you need to act quickly and ferociously. We don't need to step back. We finish and move on. 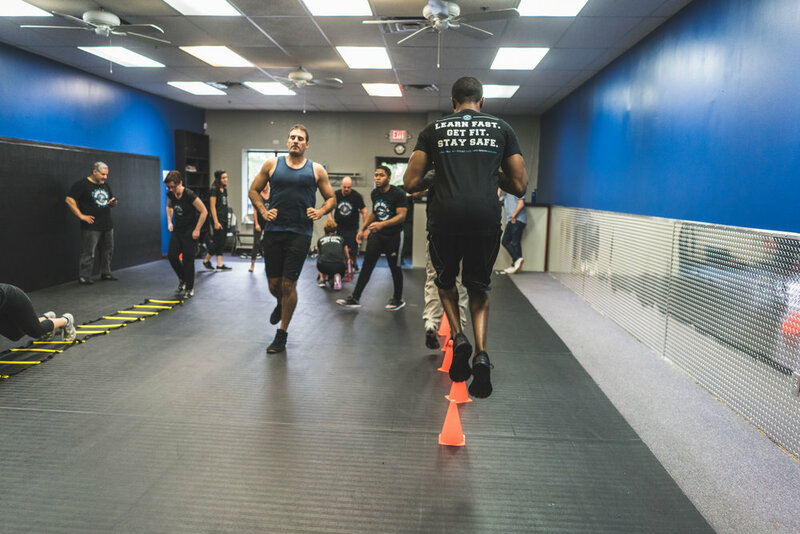 At Rock Solid Krav Maga, our instructors and students only want to elevate your abilities. Our instructors have universally adopted the Israeli spirit of Krav Maga. Simple. Direct. Open To Change. Regardless of your experience or fitness level, come as you are. Rock Solid Krav Maga is an excellent place for beginners, and a challenging place for experienced practitioners. Rock Solid offers a range of classes to teach you to defend yourself and escape dangerous situations. 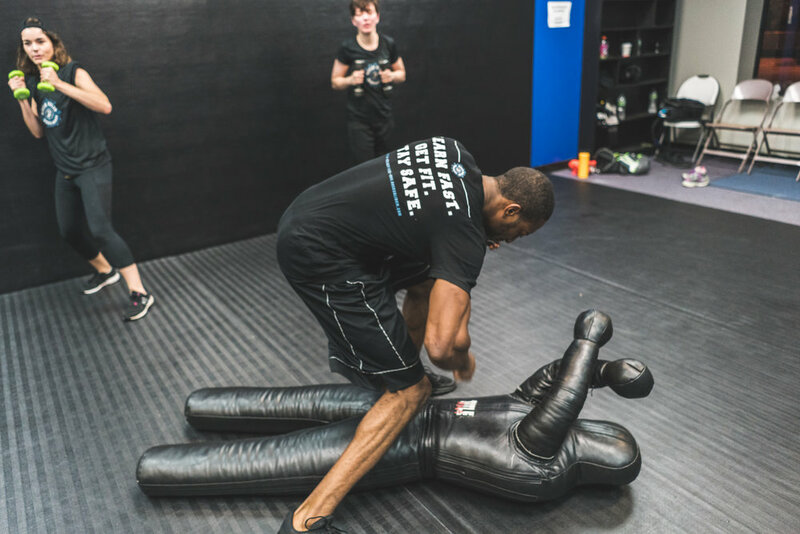 Using Krav Maga as our foundation, you will feel comfortable pushing your limits in realistic training scenarios, where we train your body and your mind for the worst. Rock Solid Krav Maga offers a series of one day seminars for women and Law Enforcement Officers. Children are vulnerable, and the best way to shield them from danger is to prepare them for when it comes around the corner. But they're also kids, and we can't teach them the same way we teach adults. At Rock Solid, we've been training kids in mind and body for close to 10 years. Our classes are fun, rigorous and meaningful. Our classes cover self-defense skills, but also teach them about respecting boundaries: their own boundaries and those of others. We work with girls and boys from ages 5 and up. Healthy bodies. Healthy minds. Healthy boundaries. Rock Solid Krav Maga is proud to house The Rage Circle, hosted by Jess Larsen Brennan of Held Massage Therapy in Montclair, NJ. This female-only empowerment session is for any woman who is ready to stop holding her anger quietly. In Jess' own words: "Something amazing happens when you move your anger out of your mind - beyond all the words and stories - beyond blame, shame, victimization and making-wrong. Let anger now find a home IN YOUR BODY: in your living muscles, the strong, tender heart faithfully nourishing you, in sweat and breath. Now your anger has turned into rage, which is simply a physical expression of anger. Now, my love, you have something to work with." Come join Jess and other women to let out your rage. Contact Jess directly for more info at jess@heldmassagetherapy.com or phone (973) 780-7759. 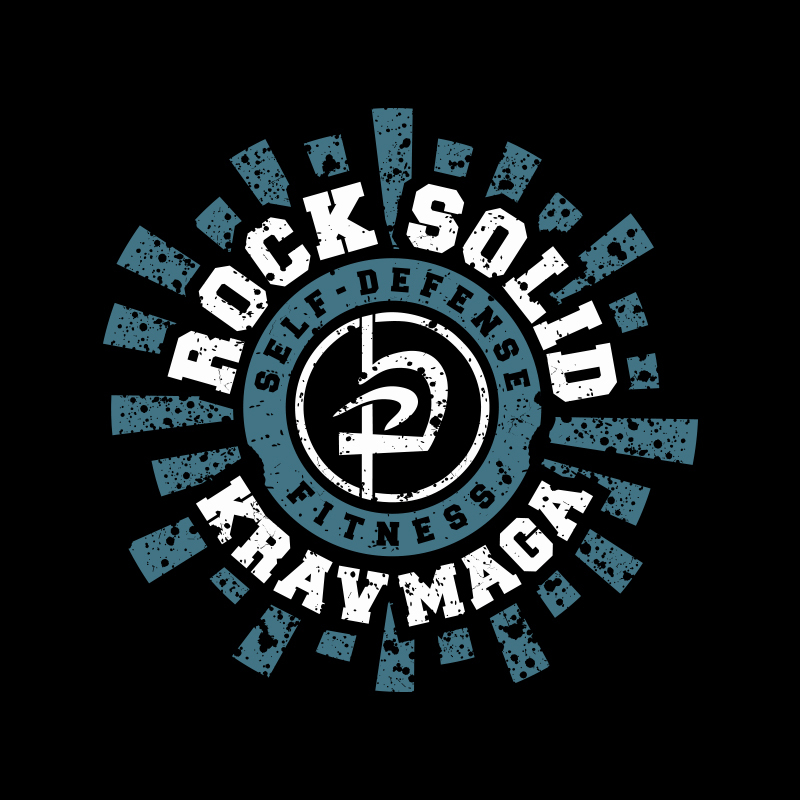 Rock Solid Krav Maga offers fitness and wellness classes to train your body and mind without actually training in self-defense. Whether it is morning boot camp, FightFit, or our weekly yoga class, you can find an outlet to get fit and improve improve yourself. Our instructors are available for private lessons, whether for individuals or small groups. We can also do in-service programs for your business or organization. Contact us to hear more about how we can tailor our curriculum to your needs. The headlines tell the story. 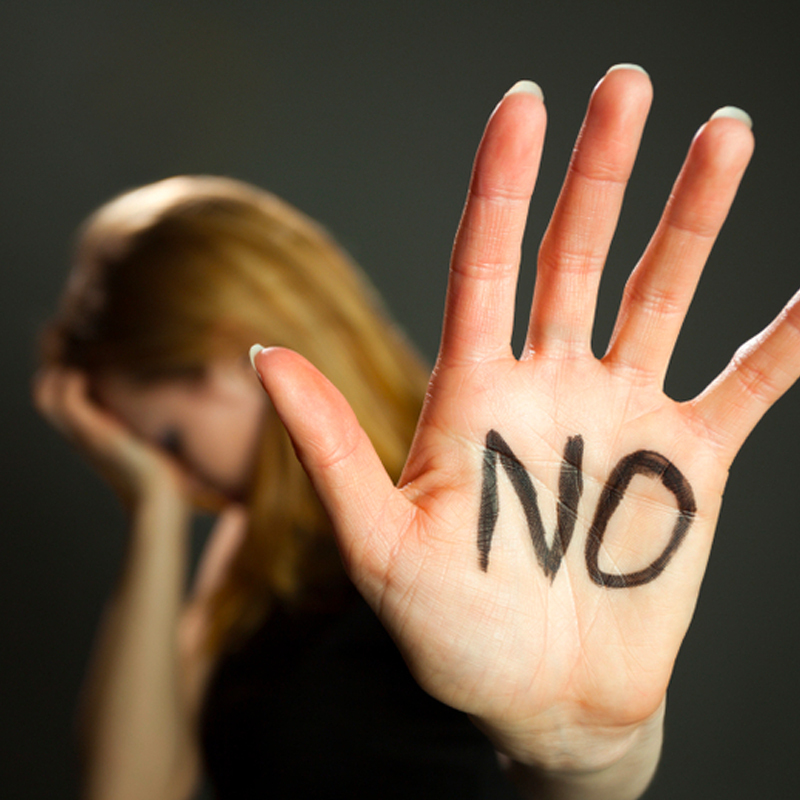 Teenage girls in high school and college are victimized at alarming rates. In response, we developed a curriculum focused on the needs of these young women, most of whom are assaulted by people they know or have recently met. This is training, not blaming. 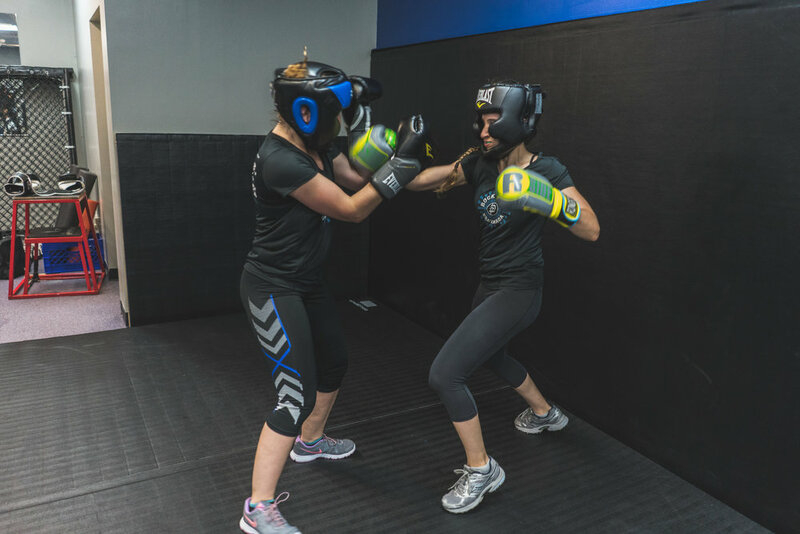 Over the course of 8 sessions, we familiarize the girls with our Three Ts of self-defense: our goal is to give them the confidence to RESIST and help them establish a vigilant and aggressive mindset. These classes are most successful when we have groups of friends or teammates. Call 973-837-1122 or email us at info@rocksolidkm.com to register today. Dean Galluccio is a retired law enforcement officer and a lifelong practitioner of fighting arts. In 2013 Dean opened New Jersey Predator Wrestling & Hybrid Martial Arts, which in 2017 became Rock Solid Krav Maga. 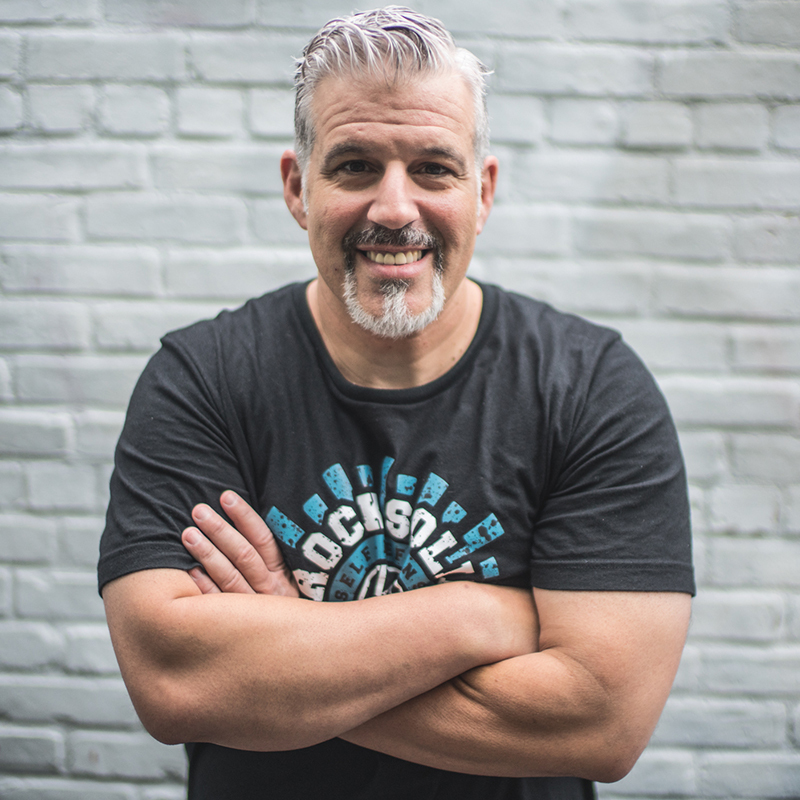 Dean has combined his experiences as a law enforcement officer in New Jersey with his Krav Maga training to create the Rock Solid self-defense curriculum. Along the way, he added the experiences of other instructors and students and expanded the curriculum to include critical components of ground fighting. Over time, Dean honed in on a series of vital techniques thahomedt make up our Rapid React program, the most comprehensive, short-order self-defense program available. Dean believes strongly in an intense but very open approach to self-defense training. At Rock Solid, under Dean’s guidance, we provide a realistic training experience and encourage students to “follow what works,” ask a lot of questions and make suggestions. Dean has been practicing Krav Maga since 2004, primarily training under Tony Racciatti of Krav Maga New Jersey, and earning an instructor’s certification in 2007 form Krav Maga master instructor Rohn Mizrahi of Krav Maga Federation in NYC. Dean has also attended seminars by Grandmasters Haim Zut and Eyal Yanilov of Israel. As a law enforcement officer, he executed thousands of arrests while serving as a detective and as a K-9 handler, and has received training in counter-terrorism, active shooters, emergency medical response. Dean has received citations and commendations from both the state of New Jersey and Essex County for his law enforcement service. Dean also has martial arts training in Kenpo, Karate and Kung Fu, as well as certifications from the New Jersey State Police Training Commission in Method of Instruction, physical fitness training and Defense Tactics. Josh has been training in Krav Maga for over 15 years. Josh originally trained under Master Instructor Rhon Mizrachi in NYC, and eventually made his way to NJ to train briefly under Tony Racciatti and then full-time under Head Instructor Dean Galluccio. In addition to Krav Maga, Josh also trained in Kenpo Karate under Sensei Francisco Vigoroux of Chile. In 2013, Josh completed the instructor course under Dean Galluccio, and shortly afterward pioneered a 6-week women’s self-defense program. The program has since developed into a standing class that meets twice a week. 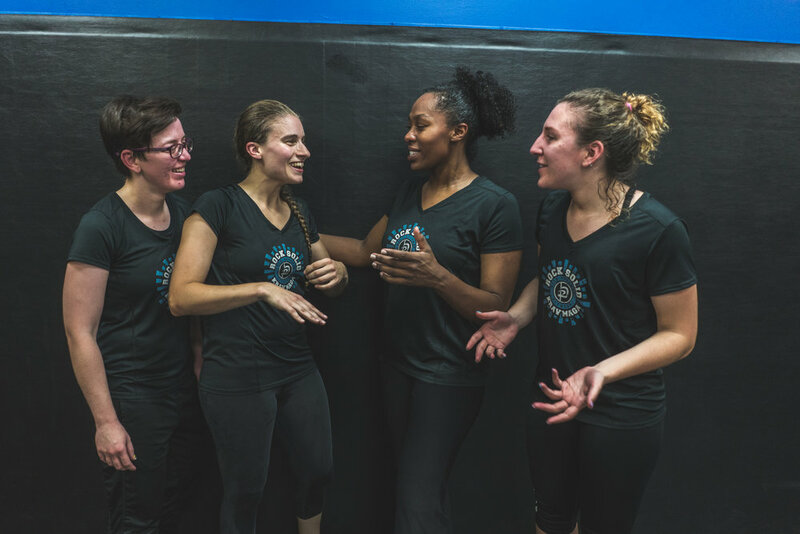 He creates an unfiltered and super-motivational class environment where participants know they’re part of a supportive team and a community. No one gets left behind, regardless of where they each are in their fitness journey. In Bob’s class you laugh, you sweat, you work harder and have more fun exercising than you ever have before. People of all shapes and sizes leave his class as better, stronger, more confident versions of their former selves. Bob is a passionate and powerful teacher because he knows first-hand that a commitment to your own health and happiness can change everything. So while his music may be loud and he may surprise you with his (occasionally inappropriate) humor, Bob cares deeply about his people, and it shows. 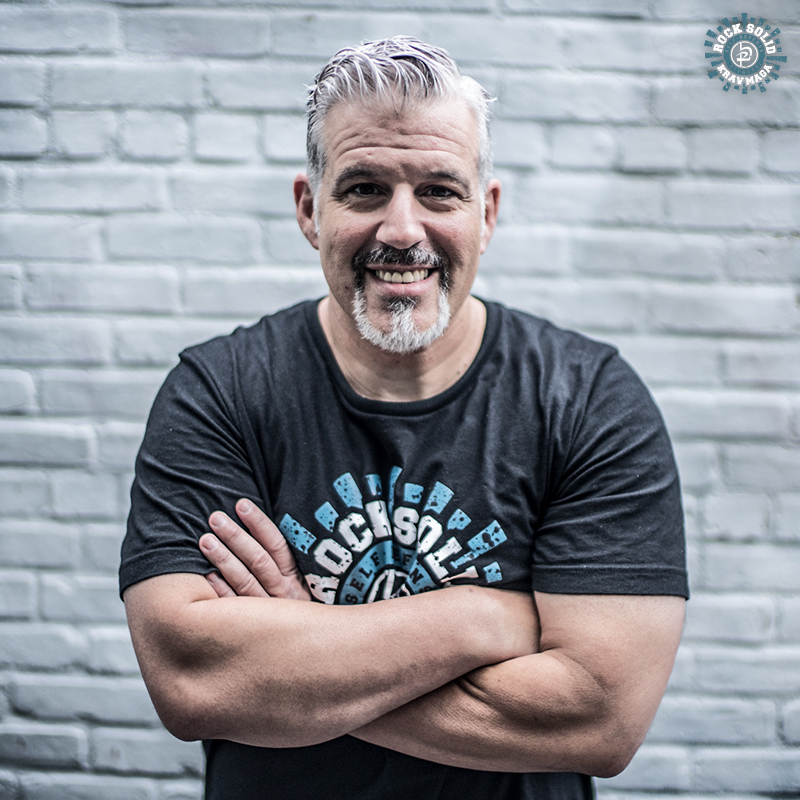 When he’s not leading group fitness classes, Bob has a 23-year career in law enforcement, is a former Marine tank commander, and is a dad to two daughters. Mike Broncatello has been studying Krav Maga for the last 8 years and has been participating in various martial arts for over 20 years. 6 years ago, Mike joined Rock Solid to train with Master Instructor Dean Gallucio, before which he studied under Tony Racciatti of Krav Maga New Jersey. Mike is an original member of the Street Fighting Committee, which examines the standard Krav Maga curriculum to improve & refine the techniques our instructors teach to students. 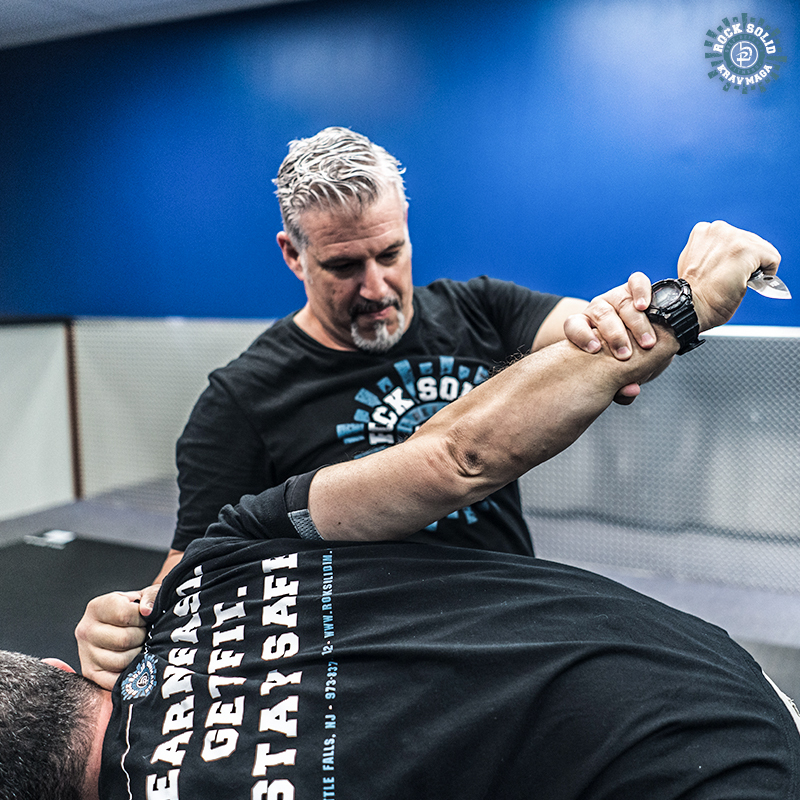 In 2016, Mike was tasked by Dean to create and implement a Krav Maga fundamentals program, in order to give beginner Krav Maga students the basic skills to defend themselves as well as participate in class. In 2018, Mike helped to formalize and develop an expanded Krav Maga program for kids. Mike believes in customizing instruction to maximize each student's particular strengths. Krav Maga is not a “cookie cutter” martial art and everyone is different. Techniques that will work for big people might not be the best choice for smaller people, and they way we teach adults is different than the way we teach kids. Mike's goal is to teach techniques that individuals can rely on in the real world. Techniques to protect themselves or their loved ones, and techniques to help them stand up to bullies. Mike’s classes are focused, fun and place an emphasis on developing mental toughness and a "never quit" mindset. In addition to Krav Maga, Mike is an avid practitioner of Kali as well as Brazilian Jiu-Jitsu.